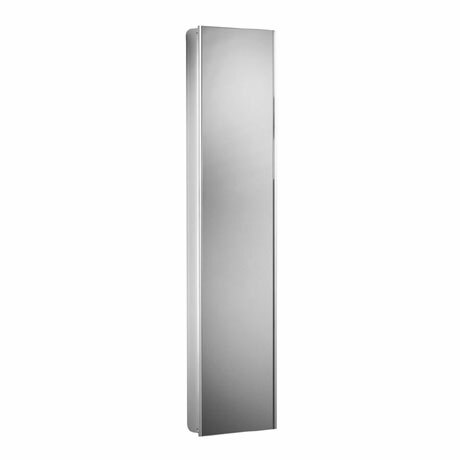 The stunning Reference Tall Mirror Cabinet is a quality anodised aluminium bodied cabinet with a full length mirror. Featuring a double sided mirror door and 4 adjustable glass shelves. Mirror cabinets provide a great alternative to a mirror when you need additional storage space.